How much office and other space does the US Secret Service occupy? That turns out to be a difficult question with a simple answer: It’s secret. Its Washington headquarters, a building on H Street, looks nondescript, save for the radio antennas and microwave dishes studding the roof, and its interior tells the casual visitor at once that the best thing to do is turn around and leave: The agency shield is visible, but there are no lobby displays, no tours, no brochures, no public access to speak of. We have clues, though, through the budgetary process. In the immediate aftermath of the 9/11 terror attacks, the agency was allocated $918 million for total expenses, including a fleet of vehicles carefully restricted to 755 automobiles and motorcycles “for police-type use.” As of FY 2015, that figure had increased to more than $1.6 billion, with concomitant growth in vehicle use, rental space, and other categories (including, broken out, guard booths in several locations throughout the capital). That said, a congressional report published on December 9, 2015, observed that the agency is both underfunded and inconsistently funded, owing to on-the-fly budget cuts, as well as understaffed. The report criticizes agency leaders for not being proactive in stating the case for staff upgrades and other needs, as well as being insufficiently attentive to how existing funds are allocated and spent. The Secret Service, which currently has a little more than 6,300 employees, has two overall purposes. The first, for which it is best known, is to protect the President of the United States from threats against his (or her) person. That protection extends to the vice president, former presidents, visiting heads of state, and other dignitaries. The second purpose, the more secret of the Secret Service’s raison d’être, is to guard against financial crimes such as counterfeiting, securities fraud, and other misdeeds—including, increasingly, cybercrimes of a financial nature. Once part of the Treasury Department, the Secret Service is now under the aegis of Homeland Security, though it operates with broad independence. It is unlikely, for example, has not been revealed whether its headquarters will move when the DHS consolidates its offices at the former St. Elizabeths Hospital campus in southeast Washington. The Secret Service also maintains offices throughout the country and the world—at last count, at least 136 (the “at least” qualifier being because some offices may not be known to the public). These are of varying sizes; the Boston office is estimated to house some 40 officers, about half the number of the New York office, while the office in Pretoria, South Africa, has just a few agents. Wherever they are located, agents tend not to spend much time at their desks, constantly employed in the field or traveling to protect the dignitaries under their charge. Famously, for instance, the New York offices, then located adjacent to the north and south towers of the World Trade Center, were destroyed in the 9/11 terrorist attack. Even so, within 48 hours of being relocated, the Electronic Crimes Task Force, headquartered there, had tracked cell phone traffic among several of the terrorists involved in the conspiracy, providing essential evidence in determining a connection to Al Qaeda and Osama Bin Laden. 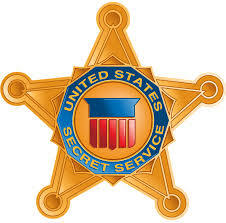 Because of the recent bad behavior of a handful of field agents, the Secret Service has come under scrutiny and criticism. That congressional report, for instance, was meaningfully subtitled “An Agency in Crisis.” The report recommends that Congress support the President’s fiscal year 2016 request for the agency, especially because presidential candidates come under protection in election years, though with the proviso, “provided that there are adequate controls in place to ensure that the funds are used to address ongoing hiring challenges.” That request is substantial: for FY 2016, President Obama requested more than $1.9 billion for the agency. It has often been remarked that the Secret Service makes news only when it does wrong, never when it does right—as it does every day. That is because, unlike its shortcomings, the successes of the agency are not advertised. In short, they’re secret.